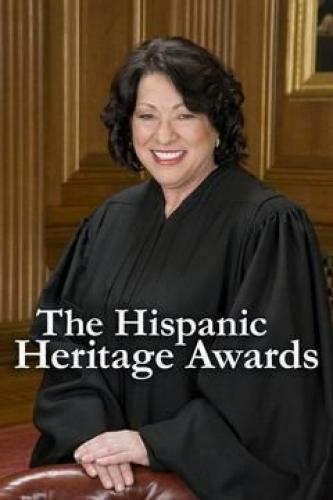 When will be The Hispanic Heritage Awards next episode air date? Is The Hispanic Heritage Awards renewed or cancelled? Where to countdown The Hispanic Heritage Awards air dates? Is The Hispanic Heritage Awards worth watching? Filmed at the historic Warner Theater in Washington, DC, the program will honor recipients of the 29th annual Hispanic Heritage Awards. Honorees include celebrities, physicians, scientists, educators, innovators, public officials and community and business leaders selected by the Hispanic Heritage Foundation. The awards, established by the White House in 1987 to commemorate the creation of Hispanic Heritage Month in the U.S., are considered among the highest honors for Latinos by Latinos and recognize notable Latinos who have had a positive impact on America and the world in various fields. The evening includes live performances and appearances by some of the country's most celebrated Hispanic artists. This year's Hispanic Heritage Awards will be hosted by cast members from Orange is the New Black. The Hispanic Heritage Awards next episode air date provides TVMaze for you. EpisoDate.com is your TV show guide to Countdown The Hispanic Heritage Awards Episode Air Dates and to stay in touch with The Hispanic Heritage Awards next episode Air Date and your others favorite TV Shows. Add the shows you like to a "Watchlist" and let the site take it from there.